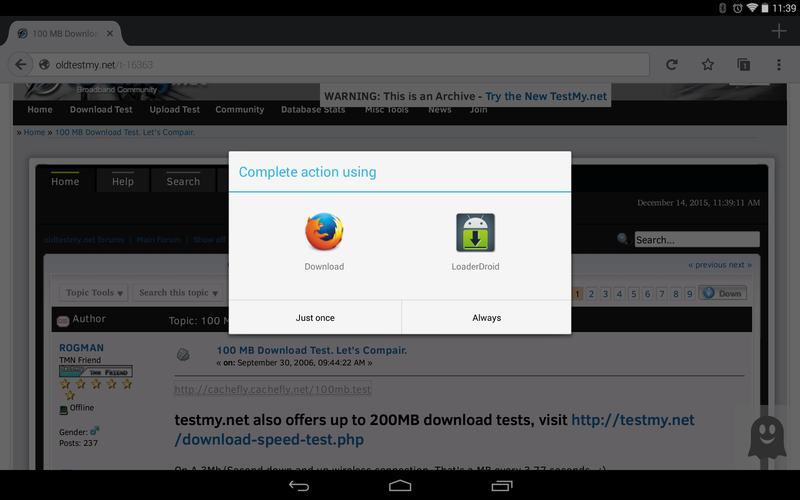 Loader Droid is an Android download manager that can be used to help manage files downloaded from the internet. Like all download managers that aren’t directly integrated with the browser, Loader Droid is a bit clunky and unwieldy. This isn’t only a problem for mobile, but this applies to the desktop as well. On first launch the interface looks rather intimidating and there is no real help other than the “Tips and Tricks.” However, it turns out to be quite simple. On the left side there are various file types, such as images or audio, that are used to easily organize downloaded files as shown below. Downloading files can be tricky depending on the file type. Images, at least in the Firefox web browser, require a long press and select the “Open With an App” selection. Normally downloaded files, such as .zip files, will have a pop-up asking which app to use to download the file by simply clicking the link. Everything else will likely try to open in the browser. Loader Droid is nice for the average user looking for an Android download manager who can’t be bothered managing where download files need to go. For the power user who is meticulous in where (s)he puts downloaded files, it’s just extra bloat. For those people, a file manager would likely be more useful. Interestingly, and quite unexpectedly, Loader Droid includes it’s own web browser. Initial impressions show it to be clunky, but it deserves its own review. The interface is nothing special, but it works. Just look at the screenshots. What a simple, yet functional, way to organize downloaded files. It does have those annoying banner ads that sit at the bottom of the screen, but they can be removed for $2.99. As an Android download manager, Loader Droid does what it sets out to do and does it well. Assist in managing downloaded files. 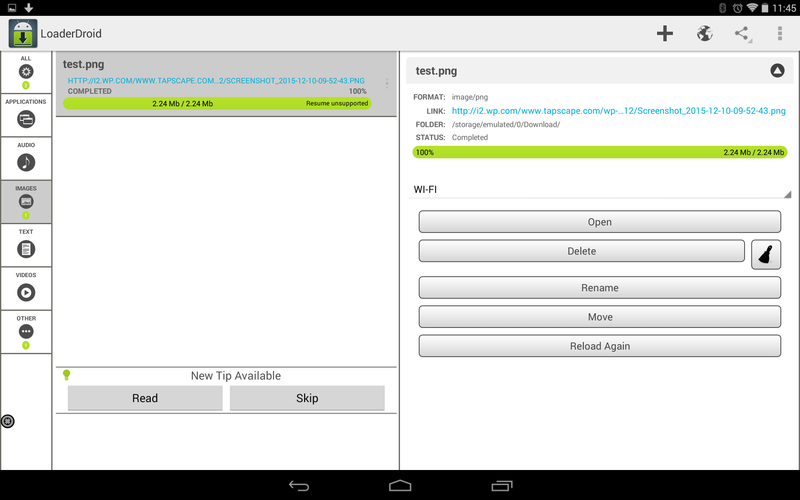 Using a file manager would probably yield better results, but this keeps it simple and thoughtless. 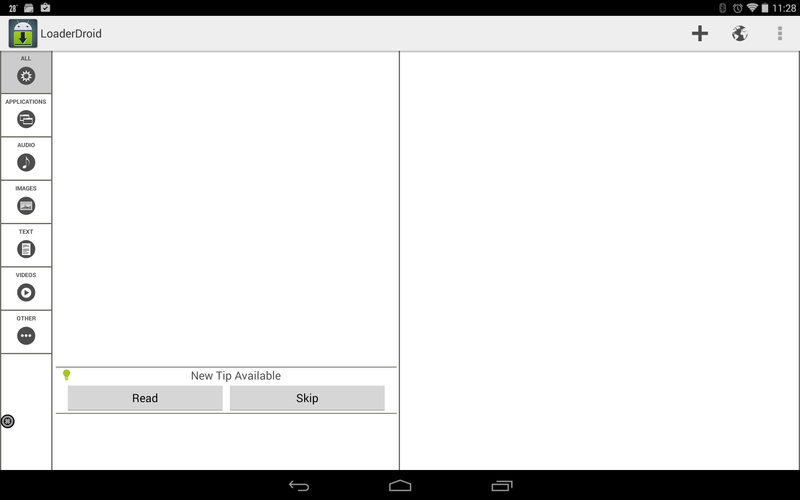 Interested in Loader Droid? Find it here!